In today’s fitness industry it is easy to fall prey to the false notion that bigger is always better, and bigger comes without health consequences. The images below are of heart tissue taken from two young bodybuilders who unfortunately passed away from sudden cardiac death. 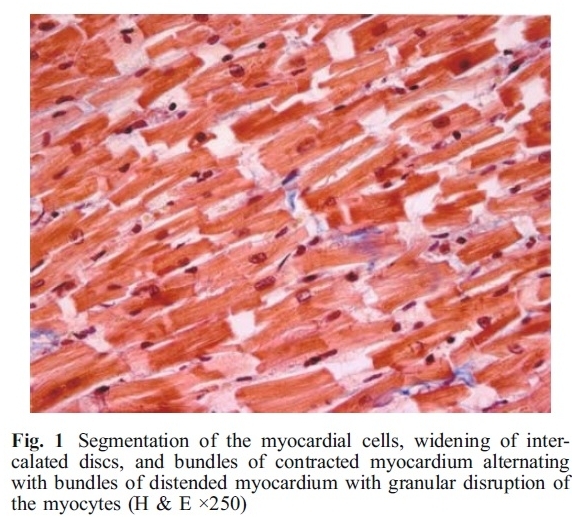 These two cases are similar to previous studies suggesting the type of cardiac tissue (cardiac myocytes) you grow while abusing anabolic steroids is scarred with fibrosis. Case 1 heart demonstrated in figure 1 below. 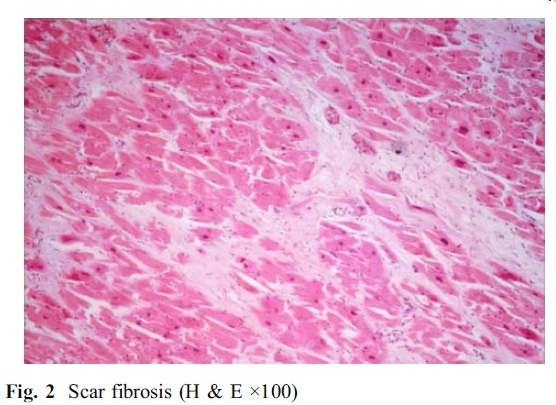 Case #2 histopathology demonstrated in figure 2, showing focal myocardial fibrosis. Androgenic anabolic steroids and sudden cardiac death? There are various proposed mechanisms suggesting the pathological means by which androgenic anabolic steroids appear to increase risk of sudden cardiac death. 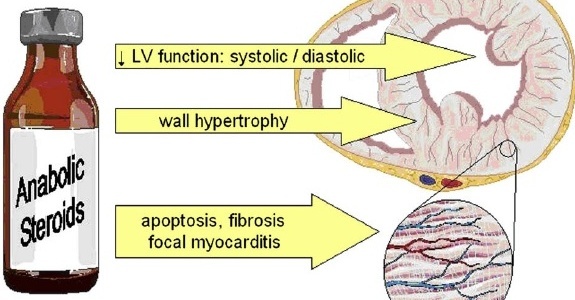 These include coronary artery vasospasm (similar to cocaine), atherogenesis, direct injury to cardiac myocytes, and thrombosis (1). These two case studies add support to the direct injury model. In simple terms, picture a fatty steak infiltrated with fibrosis, now picture that steak trying to expand, fill with adequate blood volume, and contract properly to perfuse the body. Unfortunately, these structural changes are a recipe for heart disease. See figure below. (Image source: Christoph Ahlgrim and Maya Guglin, 2009). Bigger is not always better, and bigger may also come with fatal consequences. Last year marked 20 years of lifetime drug-free lifting for me and it is a dream come true to help others as a Canadian “doc who lifts”. Safe and scientific training methods, a healthy diet full of fruits, veggies, lean proteins and no use of anabolic drugs has ensured longevity in bodybuilding. Fineschi V, Riezzo I, et al. 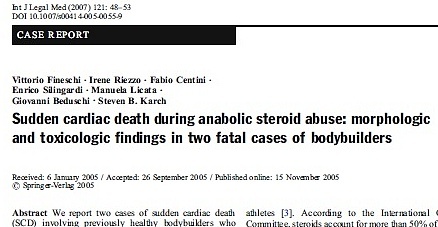 Sudden cardiac death during anabolic steroid abuse: morphologic and toxicologic findings in two fatal cases of bodybuilders. Int J Legal Med. 2007 Jan;121(1):48-53. Epub 2005 Nov 15. 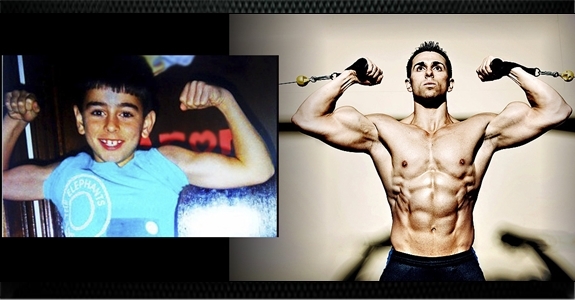 Have you ever wondered what is possible if you pushed your natural genetics to the limit? It is hard to believe I have been enjoying drug-free fitness and bodybuilding for 20 years. 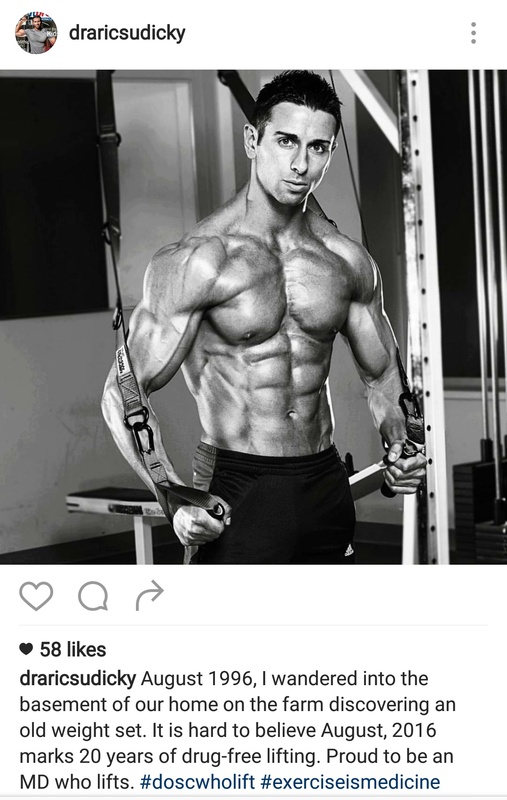 You can find health tips and training photos via my instagram page. 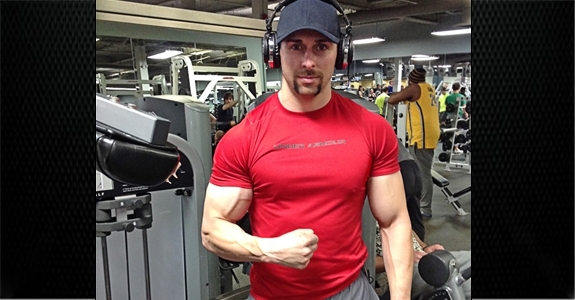 Dr. Aric Sudicky co-founded London, Ontario’s first medically integrated personal training and nutrition program. He is a former Canadian Fitness Professional of the Year award winner, an obesity researcher, and is currently completing his residency training in family medicine. 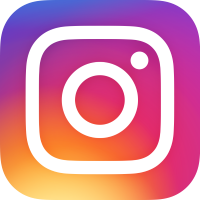 You can follow Aric via his Instagram, facebook, or twitter pages. 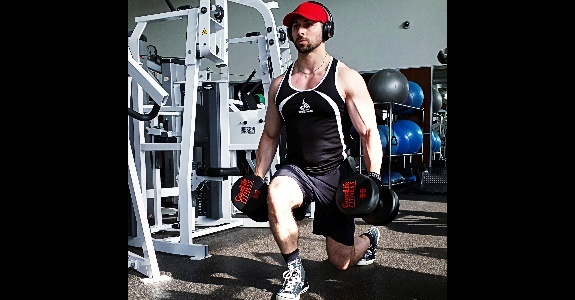 When done properly, walking lunges are an excellent exercise for glute development. 1. Pull with your front leg for glute/hamstring activation instead of pushing with the rear leg. Quality of muscle contraction matters. I would recommend slowing your pace if you find it difficult to activate your glutes through each rep.
2. Maximize hip extension range of motion with each rep by safely lowering your rear knee as close to the ground as possible. For me, this means the trailing knee gently touches the floor each rep. Maximizing resisted hip extension and flexion allows for greater glute activation. Glutes are powerful hip extenders. 3. I often pre-exhaust performing 5-6 high volume sets of leg press (feet high) for glute activation prior to lunges. 4. Frequency for hypertrophy: 1x/wk does not cut it for most people when it comes to hypertrophy. A recent systemic review suggests training major muscle groups 2x/wk provides superior results compared to 1x/wk. 5. Breathing: If you listen carefully to the training video linked above, you can hear me exhaling forcefully during the drive phase of each step. 6. Nutrition: Simply put, without consumption of adequate quality proteins, your glutes will not grow. In clinic I snack every 3hrs between patients including a protein source with each meal. Dr. Aric Sudicky co-founded London, Ontario’s first medically integrated personal training and nutrition program. He is a former Canadian Fitness Professional of the Year award winner, an obesity researcher, and is currently completing his residency training in family medicine. You can follow Aric via his facebook or twitter pages. 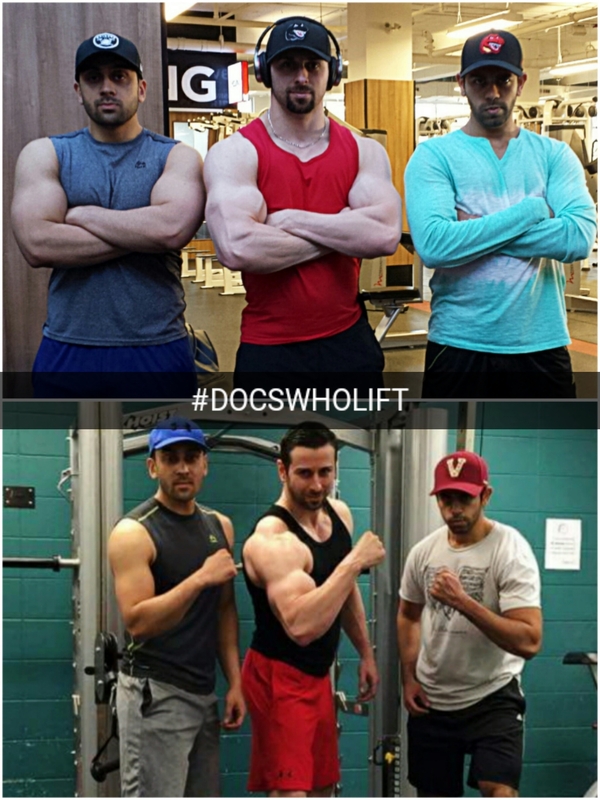 It is motivating to see the amount of drug-free muscle my medical school training partners Ammar and Sam have grown while earning their MD’s (bottom 2013, top April, 2016). I could not be more proud of these two future Canadian surgeons. Not only did they match to competitive specialties (ophthalmology and urology), they refuse to accept their first excuse. Throughout the demands of medical training we have pushed one another in the gym and in the classroom. This included showing up to lift after 26hr sleepless shifts while lighting up our phones with “EAT” text messages between 2am hospital consults. Without question a three year condensed medical school curriculum is demanding, however, there is always time for fitness…if you make that time. Whether you are a surgeon or family doctor, the bottom line is many of your patients will suffer from obesity. With obesity and weight-related disease being the number one cause of premature and preventable death in Canada, it is imperative that more doctors provide actionable exercise and nutrition prescriptions. Furthermore, evidence suggests doctors who exercise are more likely to coach patients to be physically active. This is not only about science. This is about fundamental belief systems and creating a medical culture where lifestyle prescriptions are essential in clinical practice. 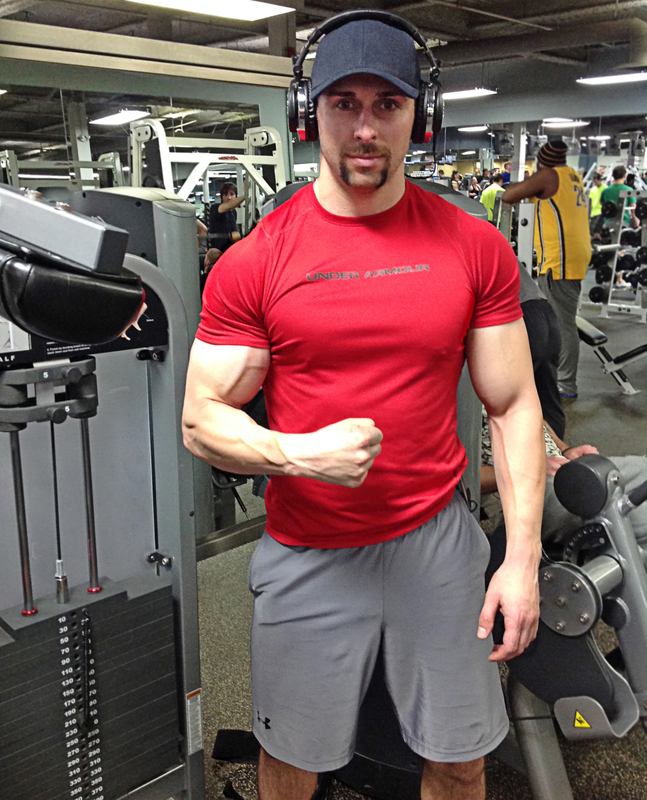 Aric Sudicky co-founded London, Ontario’s first medically integrated personal training and nutrition program. 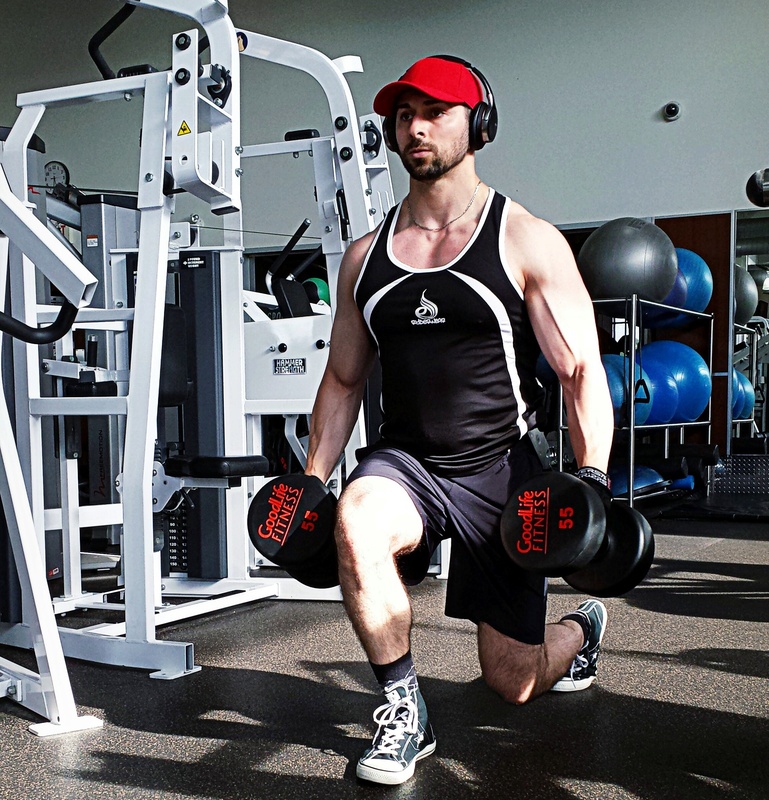 He is a former Canadian Fitness Professional of the Year award winner, an obesity researcher, and is currently finishing his Doctor of Medicine degree at the University of Calgary. You can follow Aric via his facebook or twitter pages. ”MOVEMBER” – An excellent opportunity to promote men’s health and (I’m not sure what it is) but I have grown something on my face to help show my support. Medicine is busy and definitely stressful at times, but I vow to always make time to help other men make a positive change. This includes preventing disease before it happens, their physical, and mental health. Seeing these results in the men and women I care for is what got me out of bed for years before med school and will continue to be my motivator for decades to come. The message my patients will hear throughout my medical career. You will find naysayers in all walks of life..
YOU WILL FIND NAYSAYERS IN ALL WALKS OF LIFE. *They said these dreams were impossible to achieve..
*They said it was not possible without drugs..
*They said you will never become a doctor..
*They said give up and move on..
*They said elite fitness was not possible in medicine..
*THE MIND controls the body. *WORK HARD when nobody’s watching. THEY ARE WITHIN ARM’S REACH. DOES YOUR DOCTOR WALK THE TALK? 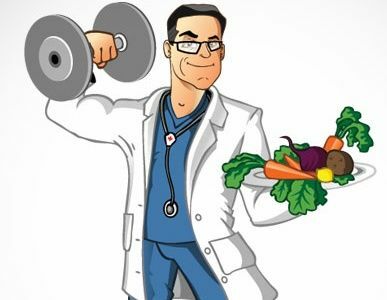 This blog explains why I chose to get in elite condition in medical school… When attempts at weight loss fail (and most do) often the finger is pointed at the patient – “They weren’t motivated enough, they did not see the benefits…”, but I wonder if part of the blame should be shared by health care providers who do not “buy in” to prevention. Deep down, do you believe that exercise and nutrition are more powerful than any drug at reducing your risk of disease? If the answer is no, you have set your patients up for failure before even attempting to tackle the delicate conversation of weight loss. 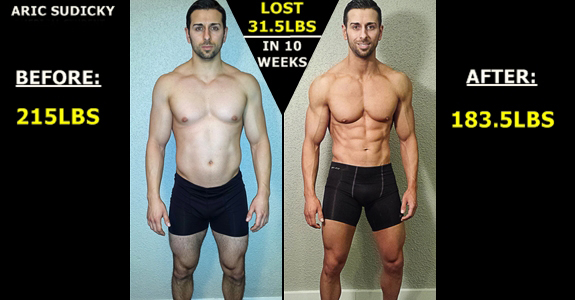 My response, “I live it.” I want patients to know I have dedicated almost a decade to mastering the art of fat loss, including while in medical school. Every piece of advice I give has been applied to my own body. I will look my patients in the eye and tell them that I genuinely “buy in” to using preventative medicine to help them live longer. Fat loss can be a stressful, incredibly emotional experience, and I will tell patients “I understand” and have been in their shoes. Upon starting medical school I purposely increased my CLEAN calories to help with growing lean mass. Being a busy fitness model prior to medicine made it difficult to pack on mass while staying ultra-lean 365 days/year. This was my chance to grow quality drug-free muscle. By January I had reached a bulky 215lbs and I knew the real hard work was about to begin. A week into cardiology I was sitting in class 8:30am to 5:30pm before returning home to sit and study 8-10pm most evenings. This could easily have been my first excuse to give up on a return to an ultra-lean physique. Instead it meant a simple nutritional adjustment. Carbohydrates consumed were high in fiber and combined with lean protein. I knew I was in for long nights studying. Failing out of med school is NOT an option! I was down over 10lbs but knew something had to give in order to provide more study time. Contrary to what many trainers prescribe, you DO NOT need to perform any cardio to shed body fat and preserve muscle. When prescribed properly, nutrition can provide enough of a caloric deficit to shed body fat, with the caveat that muscles are stimulated frequently enough through focused strength training. What was my solution? Compound heavy lifts targeting all major muscle groups 3x/week for 40 minutes (Often twice per week for my last month of dieting due to school demands). Doctors (and any busy professional) have strict time demands and need not waste any with isolated movements. Squats, bent over rows, incline pressing, and walking lunges are staple time-efficient movements to preserve muscle and promote fat-burning. When carefully planned, 3-4 compound exercises can provide a full body workout. After eight weeks the finish line was in sight. Without habits, this is when many hit “the wall”. Been here? You have lost 20lbs and the numbers begin to move more slowly and want nothing but to dig into a Big Mac. When talking to patients this is why it is important to avoid detailed medical jargon and focus on intrinsic motivators. Ultimately, most could not bother with the physiology of fat loss. What motivates many people, including myself, are: family, staying off medications, and living longer. Motivated doctors (and patients) do not except their first excuse. To ensure you stay lean it is important to “FIND YOUR REASON.” Research has shown that maintaining weight-loss is arguably more difficult than weight-loss itself. Talk to close friends and family members and reflect on your passions in life. Ask yourself, “What will my last 10 years look like?” Will you be playing with grandchildren and travelling, or forced to remain indoors struggling to maintain daily necessities of living? Create a long-term health goal. For me it is aging with vitality. I have witnessed the havoc diabetes, sarcopenia (muscle loss with age), and heart disease can wreak on quality of life and am determined to feel younger than my numerical age. Once I had lost 25lbs I was becoming increasingly at risk of losing precious muscle. It is no secret that ultra-lean bodies like to burn muscle when put on lower-carb diets. Unfortunately, at a time when dramatic weight-loss stories dominate media outlets, many “experts” forget the importance of helping patients preserve hard-earned muscle while shedding fat. There is no sense in shedding significant weight if the majority is muscle. Aim to consume 30g of quality protein at each meal to maximize muscle protein synthesis (1). This is even more important in the elderly where research has shown that at least 30g protein is required with each feeding to maximize muscle protein synthesis (2). The greater your caloric deficit, the more critical it is to consume a high-protein diet. The last 5lbs is the most difficult phase of fat-loss for anyone, especially when striving for elite results. A busy medical school schedule forced me to rely heavily on nutrition over training to peak for the magazine photoshoots booked after final exams. Calories were reduced one last time, which was achieved by reducing carbohydrates on non-training days when I was most sedentary. If you turn on your television you will in all likelihood see advice recommending cleanses, soup diets, pills, and powders to get over “the hump” when in reality it is consistency that yields a lean physique. Losing the last few pounds and most importantly, keeping them off, comes down to being a creature of habit. I did lose those pounds and have stayed lean ever since. DO NOT EAT CLEAN FOR THE GOOD DAYS, CREATE HABITS TO GET THROUGH THE DIFFICULT ONES. It is important to realize that life and exercise are not always easy, we all have hard days. It is on these days when we rely on formed habits to eat clean and stay active. Aric Sudicky is former director and co-founder of Medpoint Health Care’s medically integrated exercise and nutrition program. He is a former Canadian Fitness Professional of the Year, medical student, and advisory board member for STRONG Fitness Magazine. You can follow Aric via his Facebook or twitter pages. 1) Morley JE, Argiles JM, Evans WJ, et al. Society for Sarcopenia, Cachexia, and Wasting Disease. Nutritional recommendations for the management of sarcopenia. J Am Med Dir Assoc 2010;11:391–6. 2) Tieland M, van de Rest O, Dirks ML, et al. Protein supplementation improves physical performance in frail elderly people: a randomized, double-blind, placebo-controlled trial. J Am Med Dir Assoc 2012;13:720–6. 3) Morley JE. Do frail older persons need more protein? J Am Med Dir Assoc 2012; 13:667–8. =>THE POWER OF PARENTING – Your kids are always watching! 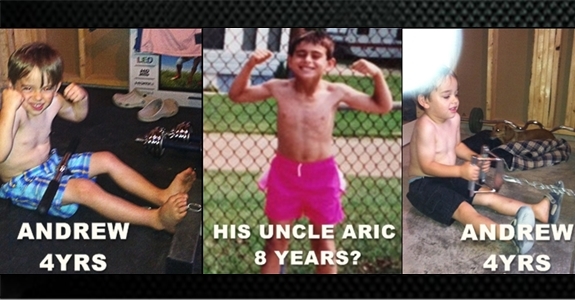 Andrew’s “old uncle Aric” was proud to see him mimicking his dad’s seated rows while flexing his pipes as early as age 3. YOUR KIDS ARE ALWAYS WATCHING YOU, NEVER FORGET IT. As I did, Andrew will also remember what his mom and dad did to preserve their bodies. Specifically, how they always seemed to manage their time while making their HEALTH a priority no matter how busy life became. *The habits you have = the habits your children will have. *The priorities you have = the priorities your children will have. Fast food night again? Time for another round of beers while you watch TV with your little one? They are always watching…and remembering. What habit will you teach? Parents interested in nutrition, exercise, and life coaching can => CONTACT ME. => MORE HEALTH TIPS? Reach me on facebook. SAVE YOUR JOINTS. BUILD STRONG MUSCLES. If you haven’t checked it out, I would highly recommend visiting http://www.strongfitnessmag.com/. This is a new Canadian magazine with great content and I currently serve on their health advisory board. As a member of the advisory board, I was recently asked to answer the above question. Many experts support ALWAYS using a complete range of motion (ie. maximum joint flexion and extension to the point of joint “locking”), however, I recommend a more conditional approach. *ATHLETES – Requiring specific athletic skill development at particular joints that involve maximum range of motion (ROM). *POWER DEVELOPMENT – To develop maximum power in a muscle it should be taken through a complete range of motion. Have you ever noticed the flexibility of a power-lifter? It isn’t by accident that their hip and shoulder mobility is phenomenal. *REHABILITATION – In most cases when recovering from an injury it is critical to ensure you develop maximum joint ROM (or to the best of your ability). Once this is achieved the advice I provide below becomes more relevant. *AVOIDING WEAR AND TEAR – In the long term, avoiding joint “locking” with each rep of heavy resistance training will save your joint soft tissues. Think about it – when you are hanging from a pull-up at MAXIMUM extension what is maintaining your joint integrity? It is less muscle tendons and more so ligaments that hold the joint together. Likewise, at the top of a heavy squat when your knees are completely locked and extended are your quads engaged? For those with good balance the quads at least partially relax and forces are sent directly THROUGH the joint space (ie. cartilage compression). *GOOD FORCES VS BAD FORCES – Research shows that our cartilage likes “normal” forces (think walking, lighter resistance training), but the wear of heavy resistance training over DECADES may prove harmful for cartilage (albeit great for bone density maintenance and muscle preservation). You may save your cartilage by slightly reducing your range of motion (by less than an inch) to avoid joint locking during heavier movements. *HYPERTROPHY –By slightly (less than an inch) reducing your ROM you will not only promote joint health and longevity, but will also focus more tension on your working muscles. If you have not tried squatting, pressing, or performing pull-ups by reducing your ROM to avoid joint locking it will be surprising to feel the increased pump and burn the through working muscles. When joints do not fully extend, tension is kept on working muscles, thus avoiding the split second rest normally experienced at peak extension. Ultimately your short and long-term goals will dictate how you train. Personally, my ultimate goal is to preserve my body and conditioning as long as possible. To do this, I must preserve joint integrity, which without a doubt requires healthy ligaments and cartilage. Since slightly reducing my ROM I not only have healthier joints, I am GROWING more muscle by focusing more tension on fibers during training sessions. REMEMBER: The difference in range of motion I am referring to is the fraction of an inch that separates “joint locking” from sustained muscle tension. TIP – FOR THIS MOVE, LEAN BACK SLIGHTLY TO AVOID PULLING DOWN VERTICALLY. INSTEAD, PULL BACK AT AN ANGLE TO ACHIEVE SOME SCAPULA RETRACTION. WHY? RHOMBOID AND LOWER TRAP DEVELOPMENT. GREAT FOR BACK “THICKNESS”. REMEMBER, PROPER FORM IS KING WHEN BUILDING YOUR BODY. LESS WEIGHT FOR HIGHER REPS IS FAR MORE BENEFICIAL THAN HIGH WEIGHTS WITH MUSCLE CONTRACTIONS THAT ARE NOT FOCUSED.